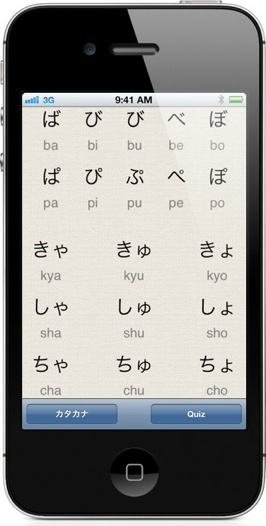 Easily improve your hiragana and katakana anywhere. 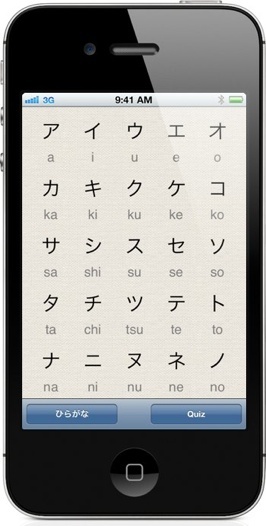 KanaDrills is a simple app that does one thing well: test your kana. Its simple and elegant interface gets out of the way so you can focus on learning. Costs less than a pack of blank flash cards. This is a complete version with no ads. Includes complete hiragana and katakana syllabaries, including combination characters (dakuten/ten-ten, handakuten, and yoon). Test yourself with 25, 50, 75, or 100 questions. Chose katakana or hiragana. Keep track of your progress with high scores. iCloud — Synchronize your high scores across your all of your iOS devices. Universal App — one app works on iPhone, iPad, and iPod Touch. Have questions? Need support? Check out the FAQ. Copyright © 2012 Gestell, LLC. All rights reserved.